The Adamson Lady Falcons continue to be strong as they beat the Ateneo De Manila Lady Eagles in their last meeting in the eliminations via 3 straight sets. Nene Bautista and Nik Nik Laborter were too overpowering and their defense against Valdez's power hits is superb and I think that the USLS will have a hard time in dealing with the Falcons in the Final 4. Good thing they will have Aiza Maizo who replaced Hair because Jayde will have to fly back to the United States because of personal reasons. Moralde will also be replaced by Jovelyn Gonzaga. 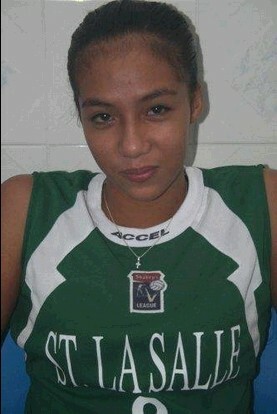 Gonzaga was a former college player for the Central Philippine University Iloilo . She's 20 years old. She stands 5'9. She is a middle hitter.